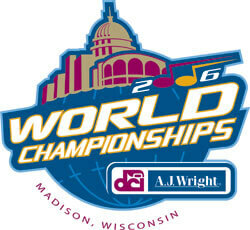 Parking for the 2006 DCI World Championships is extremely limited near the event site, Camp Randall Stadium. In an effort to provide a way for fans to have ample parking and make it to the events, Drum Corps International has arranged for a shuttle service to and from the stadium on Thursday, Friday and Saturday of championships week. Thursday, Aug. 10, 12:30 p.m.
Friday, Aug. 11, 2:30 p.m.
Saturday, Aug. 12, 3 p.m. All shuttles will continue to run each night until all spectators have been returned to the Alliant Energy Center. Overnight parking at the Alliant Energy Center is not permitted. Street parking is available around Camp Randall Stadium, primarily in the neighborhoods to the south and west of the stadium complex. Parking is restricted in all marked lots on the campus of the University of Wisconsin. Spectators attending the Division II & III events should be aware that cars parked in permit lots will be ticketed and towed. The shuttles will not be in service during the Division II & III events. Find more information on public transportation in Madison.